The MK7 Golf is a great platform no matter what spec car you have. 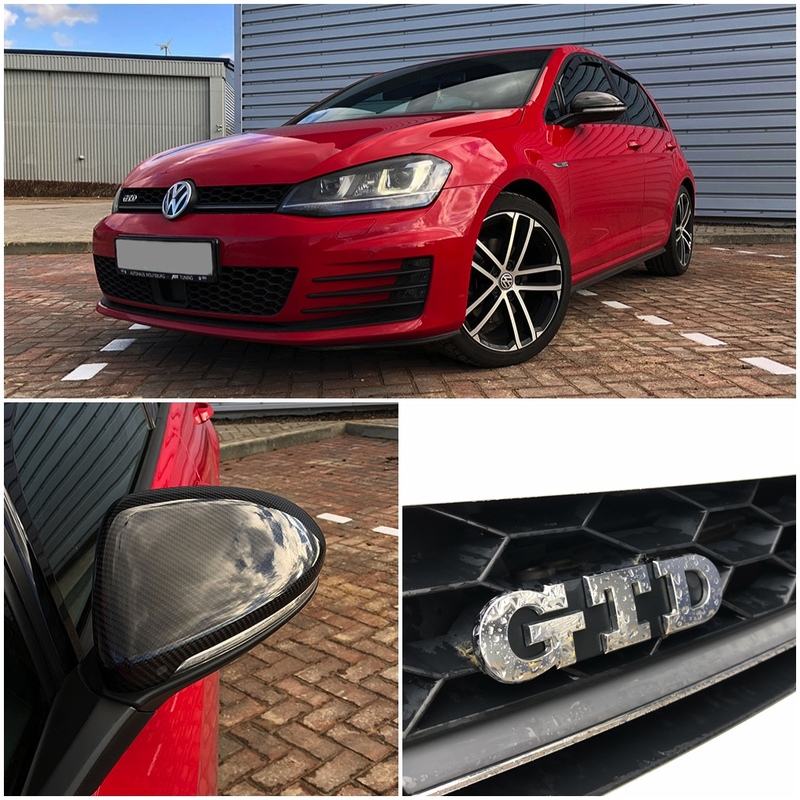 The 184PS GTD is the GTi for the owner needing batter fuel economy. A Revo Stage 1 software tune will give good performance gains and increase the torque. It is thought the increased torque that further gains in economy can be gained but it is dependent on how you drive. This customer opted for a Revo stage 1 and some carbon mirror covers to complement the styling. With over 230 BHP and 500 Nm of torque this is a seriously quick little Golf.